But that is another story (and photos) for another time. I want to focus on the building to the left (west) of the ONG Building in the above picture- The Alvin Hotel. 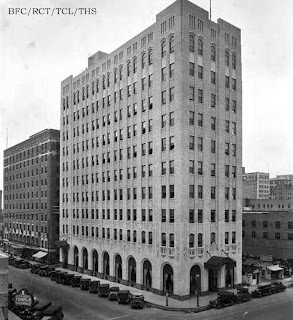 Built in 1928-29, the Alvin Hotel was located on the northeast corner of 7th and Main. 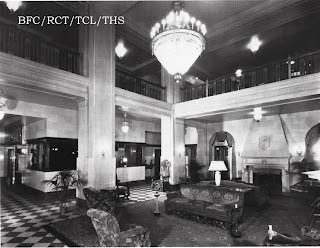 In 1930 it was one of many new, fashionable hotels around town. 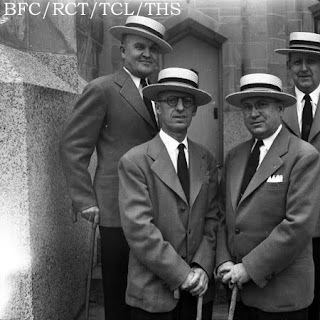 The Alvin's claim to fame was being home to the First Barbershop Quartet Chapter in Tulsa. 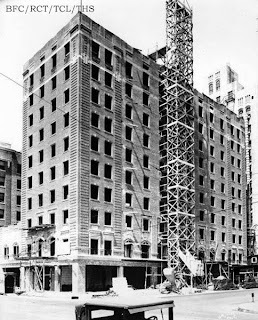 The Alvin Hotel/Plaza was torn down in 1976. All there is now is a parking lot. Too bad for us. Great post. I love this stuff. Measured in terms of lost history, Tulsa has some very expensive parking lots. I could not agree more with Tulsa Gentleman. Among the structures that I miss the most are the old movie theaters. Venues like the Orphieum and Rialto, made the whole experience of going to the movies special. "Priceless" parking lots, if you ask me. Driller, sometime soon (next year) I will present my slideshow about all of the old theatres that used to be downtown. It will be at the Tulsa Historical Society, most likely on a Saturday afternoon when most people can attend. I focus on about 30 or so of the theatres. In any case, I will try to let everyone that has shown an interest know ahead of time. It is a bittersweet production. My Grandmother lived in Tulsa. When I was a tyke in the 60's my folks stayed at the Alvin Plaza when we came to town. I remember going to the Indian Store somewhere nearby. 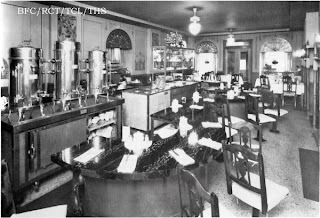 The tablecloths st the Plaza were linen and they really used silver at the table. seemed really opulent at the time. Nice post! Kewl pictures! Do you have anything on the Silvey building which was next to the Alvin Hotel? My dad worked there for several years. 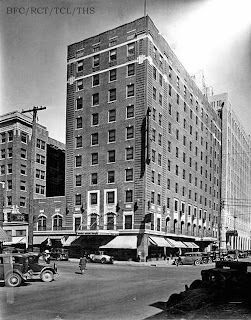 My father was the catering manager and hotel assistant manager of the Alvin Plaza when I was growing up in Tulsa in the 50's and 60's. Really pulls a heart string to see this. This is a very cool post. Thanks for putting it together. It should be mentioned that not only was that the first Barbershop chapter in Tulsa, it was the first one in history. In fact, that chapter is still alive and well. Seen on a piece of luggae on display in a truck stop in Colorado. Last time didn't work too well. Let me try it again. I remember watching the Alvin being imploded, I have an old Super 8 movie I shot of it. So many great old buildings were destroyed in the 60's and 70's. 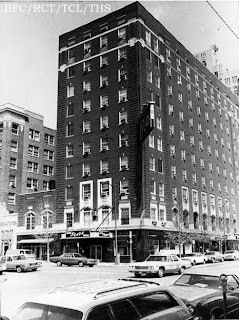 Tom Petty and the Heartbreakers in their days as Mudcrutch stayed in this hotel in the summer of 1976.